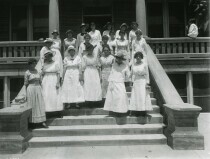 Credit: C. L Schonnisen UTEP Special Collection Herald Post. 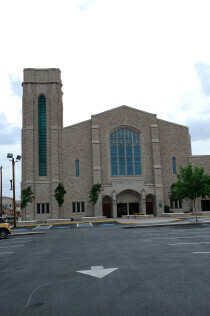 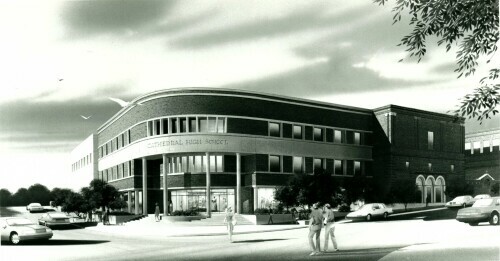 Image of Cathedral High School in the year 1992. 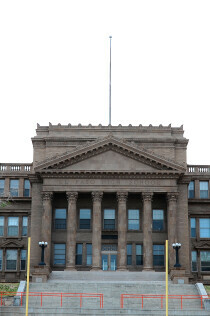 Location is the city of El Paso, Texas. 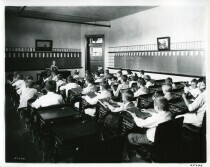 The students are working on craft projects - weaving on looms and making baskets. 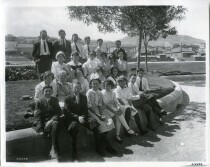 Group photograph of a school class outdoors. 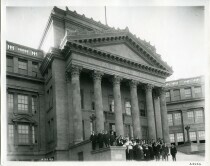 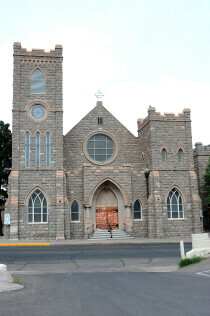 This is an Aultman photograph from the El Paso Public Library.